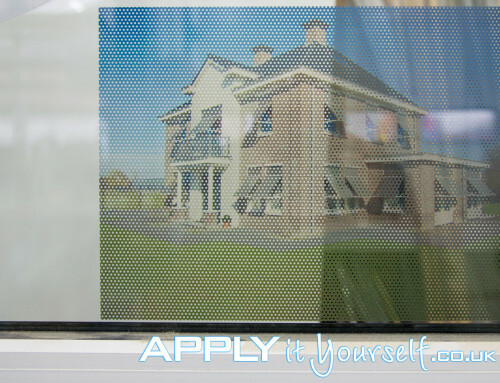 Your own bespoke perforated frosted two-way vision window film can be designed and order online. Quick and simple with our online designer. Add your own advertising/branding, design, name, logo, street number, images, quotes, lettering, family crests, etc.. to your personalised custom perforated frosted window film. Use our online designer to create a totally new and unique design that will perfectly fit with your business/personal needs. Or use your own software. For example Adobe Illustrator, Adobe Photoshop, Coral DRAW or the opensource software-package Inkscape, and subsequently upload your design in our online designer. Our made to measure window film solutions are made of high quality vinyl and will arrive pre-assembled in a sturdy box. Ready for application, no additional work is required. Read the instructions and watch the instruction videos. The perforated frosted two-way vision window film should last for many years. 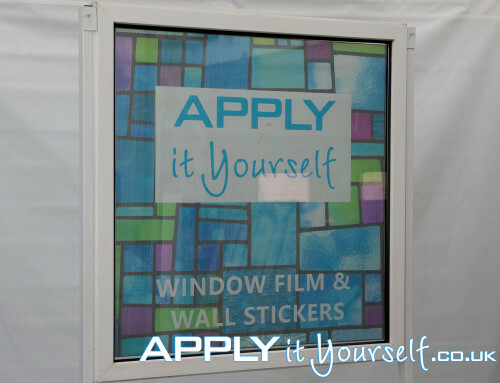 The window film shows the print/design on both sides of the material/glass. With two-way vision window film (perforated frosted window film) the material itself is translucent (but not transparent). With the one-way vision window film the material itself blocks light. The one way vision films allow for greater privacy. 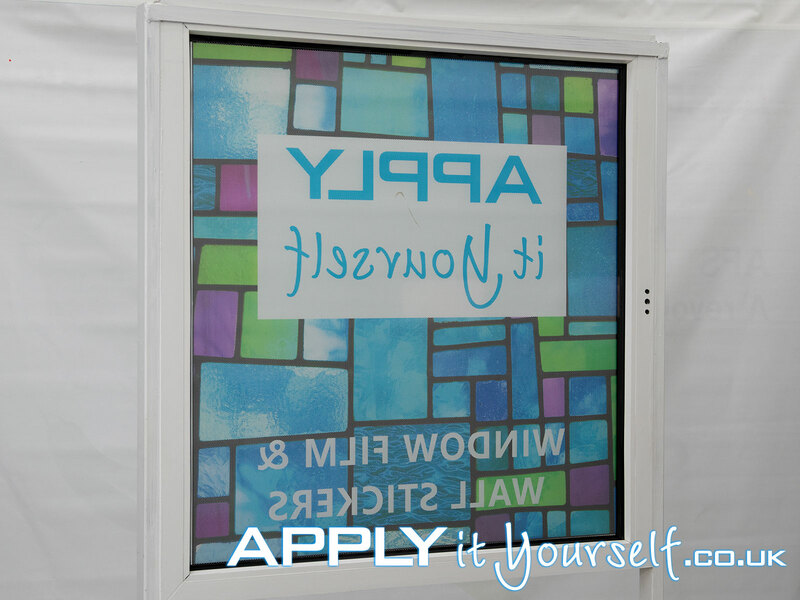 The two-way vision window films only partially blocks the view of people. Thus, providing a little privacy, but allowing the almost all light to pass through the material itself and the holes. Make your design 1:1. Use mm as the measurement unit. We advise a minimum resolution of 3×3 pixels per square millimeter (75 dpi). Or 3000×3000 pixels per square meter (1000×1000 millimeters). Send us your design as a .png (use transparency for your cut-to-shape design) or .jpg files. With low compression, high resolution. 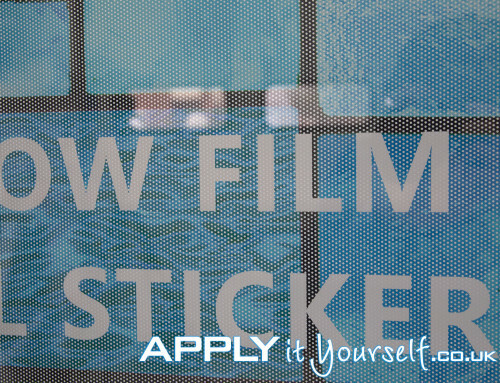 Your design will be visible on both sides of the window (film). You may want to use high contrasts (dark colourful prints with no print) for optimal visibility of your design/message/branding, due to the translucency. 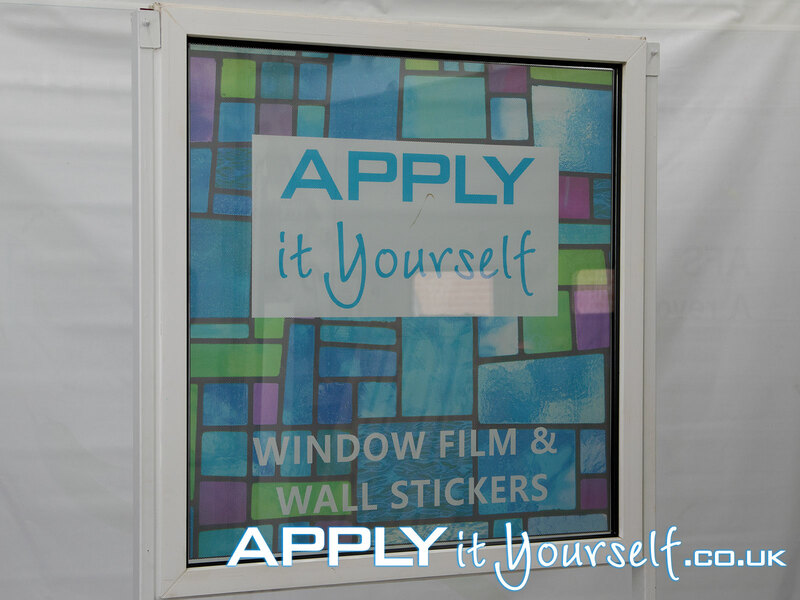 Applying the window film yourself. Is quick and easy. Follow our online instructions and watch our tutorial videos. Only apply perforated frosted window film on a flat and smooth glass surfaces. Thoroughly, clean the window and window frame. Remove all paint, grease and other dirt (with a glass scraper). If any is left behind, it will always be visible! 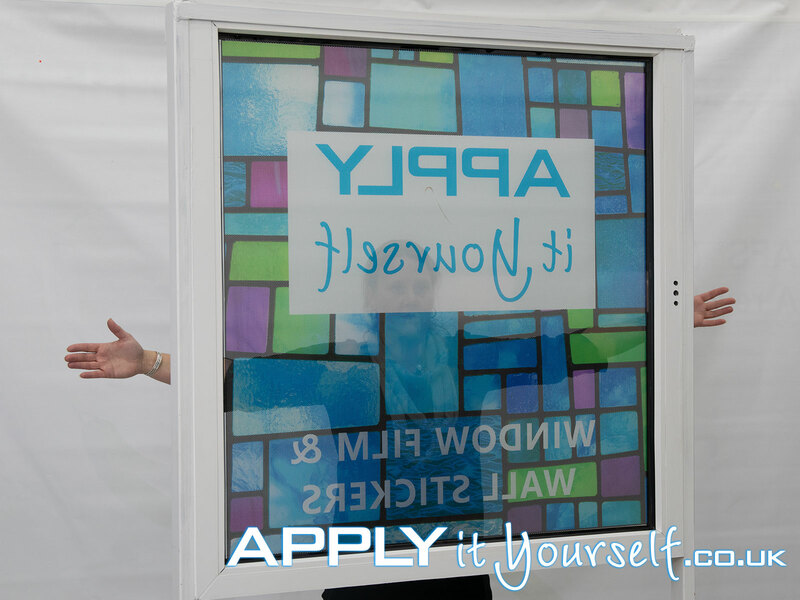 Remove the backing paper of the two-way vision window film very carefully. 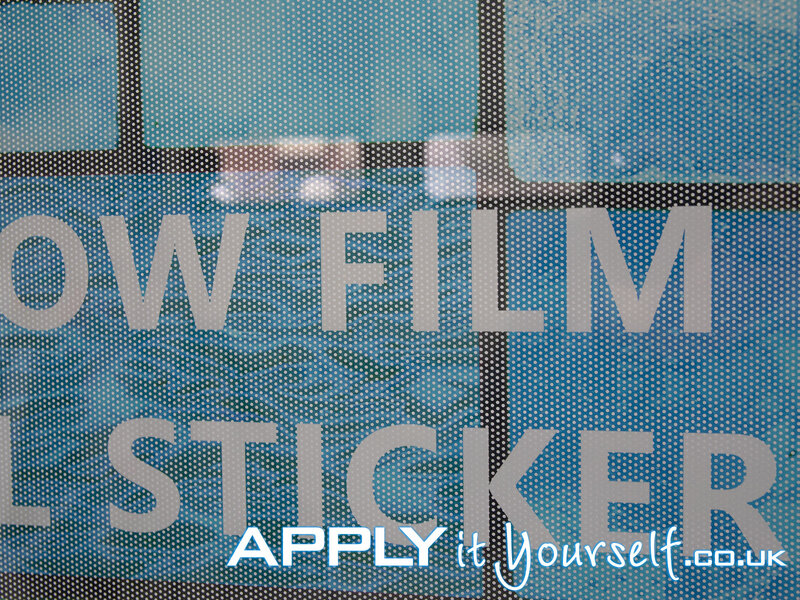 When the perforated frosted film contains cut-outs, be very careful when removing the backing paper, as to not tear the film itself, when parts remain stuck to the backing paper. Take your time, most mistakes occur here! 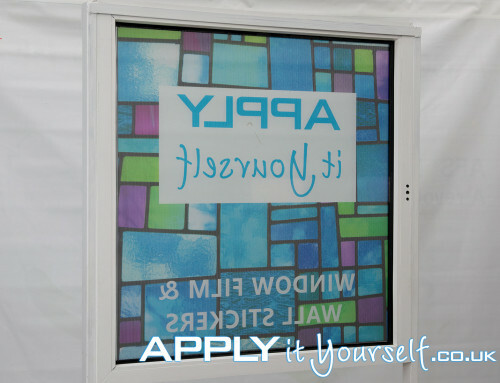 The perforated frosted two-way vision window film is generally applied on the inside of buildings. 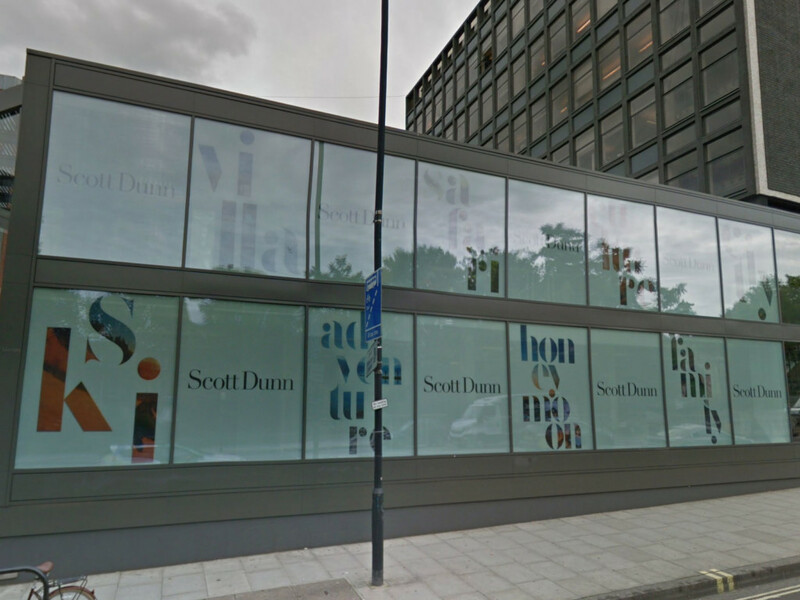 Whereas the one-way vision perforated window film can only be applied on the outside of buildings/vehicles.